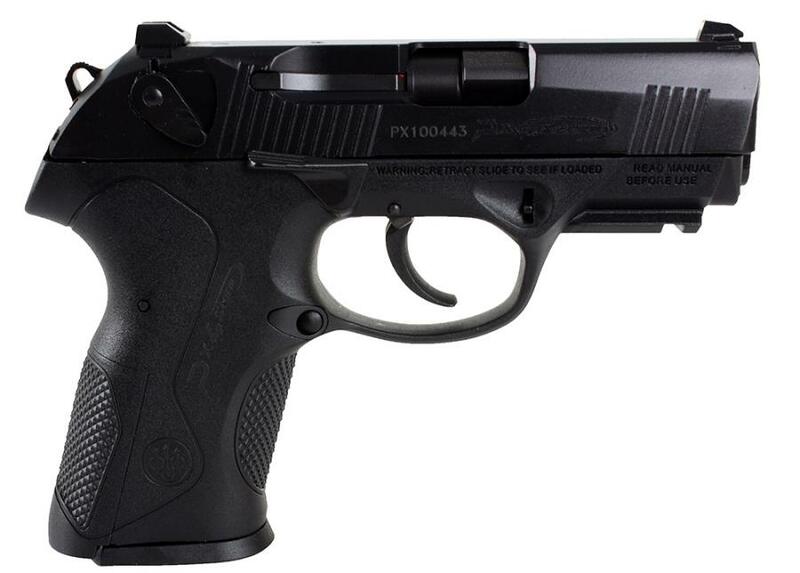 Beretta PX4 Storm Compact 9mm 3.2"
Technology, precision, and a smaller profile make the Px4 Storm Compact the ultimate in concealable, duty ready pistols. Built around the same modular concept as the full size Px4, the compact model features the locked breech with rotating barrel system and chrome-lined barrel with a deeply recessed combat muzzle crown to protect the rifling, but with a shorter and proportioned slide and grip. The durable polymer frame is fiberglass-reinforced with a Mil Std-1913 Picatinny rail and a modular grip system for a custom fit. It has a manual safety and an ambidextrous slide stop lever. The Bruniton non-reflective black coating is offer superior resistance against corrosion and wear.